This is a unique building housing over 1200 scientists in a world class research facility in an unconventional location. Although well connected for rail, Eurostar, London Underground and major road routes, their proximity create significant sources of ground borne vibration. Furthermore, mechanical services plant linked to the laboratories, provide more sources of vibration. The design team and vibration consultants collaborated with the other disciplines to consider the building to unprecedented levels of detail to address these conflicting requirements. Any process inside the building with the potential to generate vibration was reviewed and assessed, with mitigation incorporated to reduce the risk. Impressive in its own right visually, few will realise the interior vibration environment was one of the key design drivers. 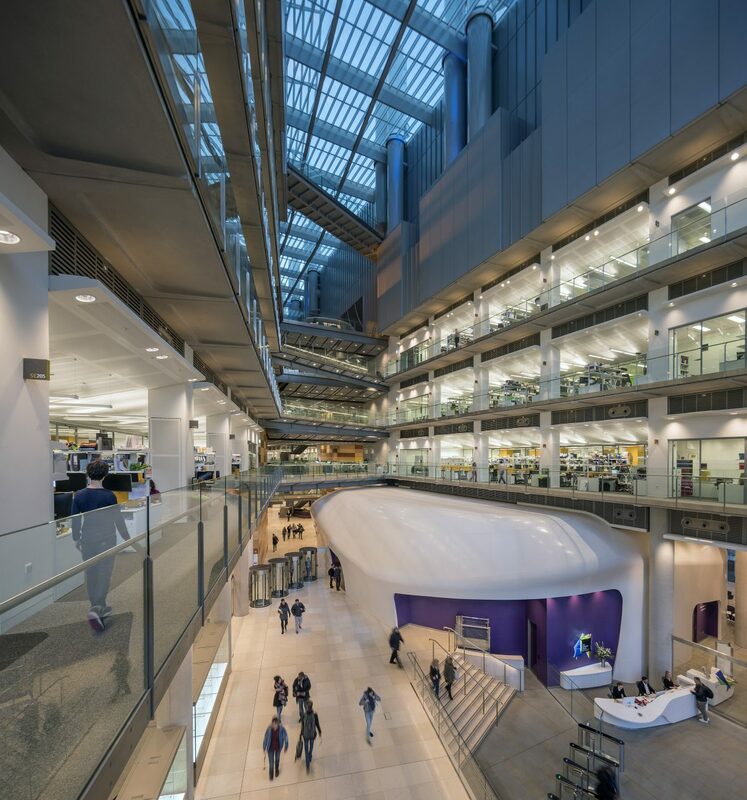 This project shows how giving due credence to the discipline of vibration design can create world class facilities in what would otherwise be considered sub-prime locations. As well as the design process, there was scrutiny to ensure the full execution of design measures during construction. The end result is a low vibration environment in the building, which can easily be missed on a visit. The judges were impressed by the interlinked vibration projects which make it unique, as well as the amount of work invested in the design. It is an incredible project which had to achieve the right outcome to enable the building to operate. The size, location and complexity make it stand out as the winner of this year’s award.